Last month we reported that Paradox Development Studio is looking to bring all of its future games to Linux platform. 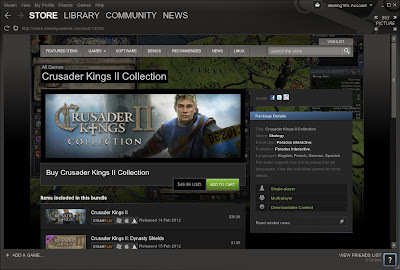 To begin with, they have released popular grand strategy game Crusader Kings 2 (including all DLC packs) on Steam. Paradox Development Studio is also planning to release their forthcoming title 'Europa Universalis IV' (coming in Q3 this year) on Linux.